As the third annual Great Salt Lake Fringe Festival wrapped up this past weekend, there was ample evidence showing how the event is developing the enduring presence and value that will lead to more choices of original, ambitious entertainment. Last week, The Utah Review highlighted four shows and this week’s sampling of four performances from the festival’s closing weekend underscores the sentiments about expanding the event next year. Dan Higgins’ (___) confirms that dance performance opportunities should be sought out more aggressively for Salt Lake City’s programming in fringe festivals. 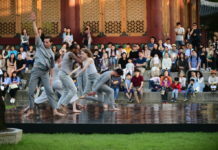 For a city this size, dance has a strong and distinguished presence on the local performing arts scene – both in terms of dance artistry and in original choreographed compositions. This was Higgins’ second year at the festival and his latest work (a world premiere), billed as an evening of storytelling and dance, delivered more than amply on its promise during the 50-minute dance composition with Higgins and five other dancers as performers. A member of the Repertory Dance Theatre, the nation’s longest running company of its kind, Higgins crafted a work that quickly begins to fill in what the space between the parentheses is intended to represent – Post-traumatic stress disorder, one of the top four psychiatric disorders in the U.S.
Higgins interprets these dynamics with impressive clarity. As audience members filtered in, Higgins is sitting at a desk, his back facing the audience, and a scarf spread out on the table. When he stands and turns toward the audience, dancers march across the horizontal stage, crossing paths, challenging each other’s paces, and with no music, there is the dread of just how peace is just an illusion. There is a scene where there is hope for living peacefully in the present but then the shadows return, as dancers move with a soundscape pierced by a shrill ping or by a slowly accelerating percussive beat. At times, Higgins is mumbling, barely audible to the audience and his voice rises to a sharp level so unexpectedly at moments that it has the precise jarring effect. Other dancers included Natalie Border, Jessica Liu, Nell Josephine, Micah Burkhardt and Jalen Williams. Especially when the conditions are just right. Higgins’ work is far from abstract but it demands sharpness and full alertness from audiences, as it should be for the fringe festival venue which invites and encourages boldness not just in technique but also in thematic content. 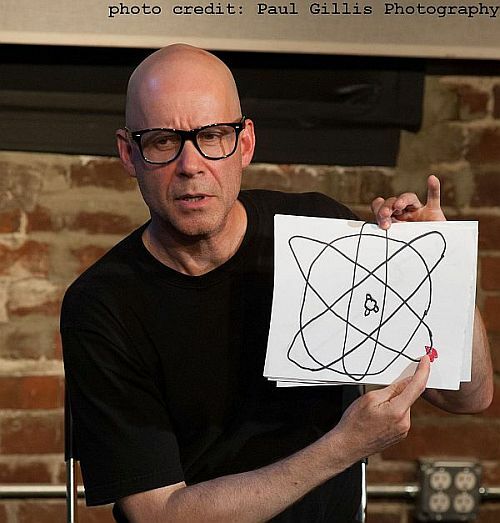 With the last two fringe festivals, Higgins has embraced his new role of choreographer, finding ways to express his intellectual curiosities in philosophy and social issues. This occurs naturally for Higgins and his performing experience in RDT. 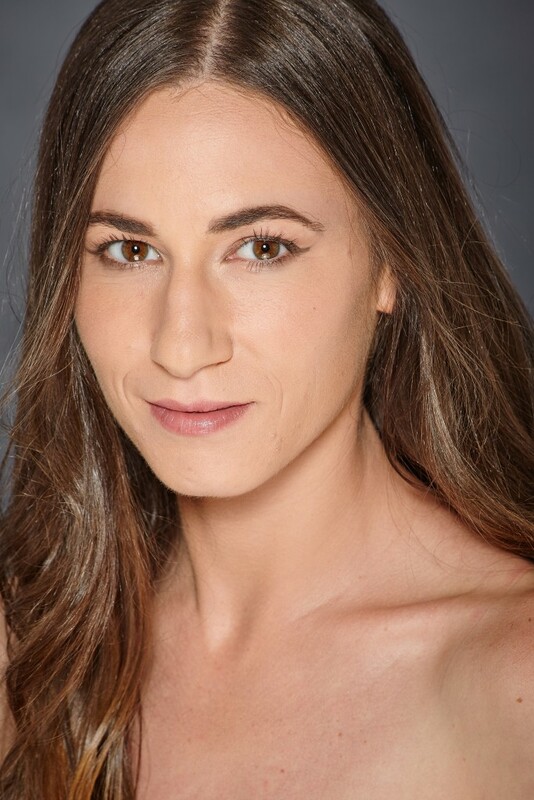 In recent years, the company’s dancers have worked with some of the world’s best known and most respected choreographers who are exploring new dance movement languages to make heartfelt statements to help audiences find common ground in overcoming a hostile, volatile climate. Higgins’ work inspires a hopeful call in finding ways to work with the pain, not to let the savagery of darkness and shadows overwhelm our better impulses of human nature. This year’s festival also featured some veterans of the national and international fringe festival circuit. One particularly effective example is Randy Ross, who was executive editor for PC World for seven years before going solo with his own media enterprise in 2007. He has leveraged the experience with good effect. His solo show The Chronic Single’s Handbook, definitively autobiographical, incorporates material from his novel God Bless Cambodia, which was published earlier this year by Permanent Press. Having lost his high-profile job, the protagonist embarks on a trip through four continents with the intentions of finding enduring love and romance. Unfortunately (or perhaps not so), the man strikes out consistently on any attempt to find a meaningful romantic connection. Ross has performed his show at fringe festivals across the U.S. as well as in Canada and at the venue which started the fringe performance movement in Edinburgh. It is evident that Ross has become quite an accomplished performer, learning to polish his delivery. His nonverbal language enriches the content substantially. The show’s tight format works well, given that Ross draws his material from his novel’s manuscript and he has smartly selected those elements and images that keep the show’s momentum going. In fact, the show’s streamlined essence, right down to its minimalistic staging, amplifies the candid, blunt comedy Ross offers. And, the audience clearly enjoyed the performance. Ross is a good case study of how to succeed on the fringe festival circuit, as an example of the tenor of his content and his delivery as well as his adept skills at marketing and promoting his work as an independent artist. 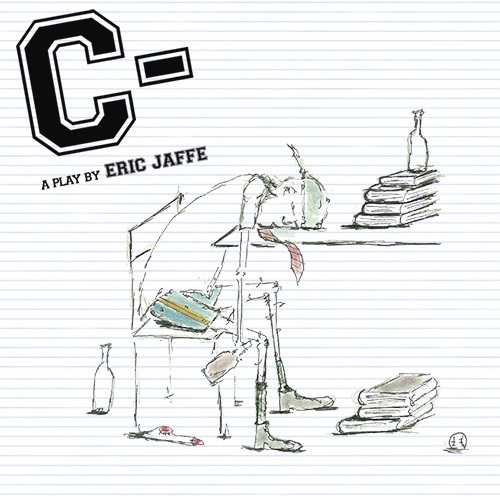 In C-, Eric Jaffe, who also has cultivated an extensive portfolio on the fringe festival circuit, offers comedic insights about his generation, which coincides somewhat with the perspectives, values and experiences of Ross. Now middle-aged, Jaffe reflects on the college experiences of his fraternity brothers. As with Ross, there are no real surprising discoveries about the path from college to career and life fulfillment but Jaffe’s story-telling delivery adds to his show’s substance. Jaffe developed his show by interviewing 65 of his colleagues from his college years and he spent four years locating his fraternity brothers, even hiring a private investigator to look at them. Think of a gentler form of the classic Animal House film and one gets a solid sense of Jaffe’s show, which is almost like one person’s recollections of a college reunion where fraternity members mix in their fondest memories of their college days with the paths their lives have taken. 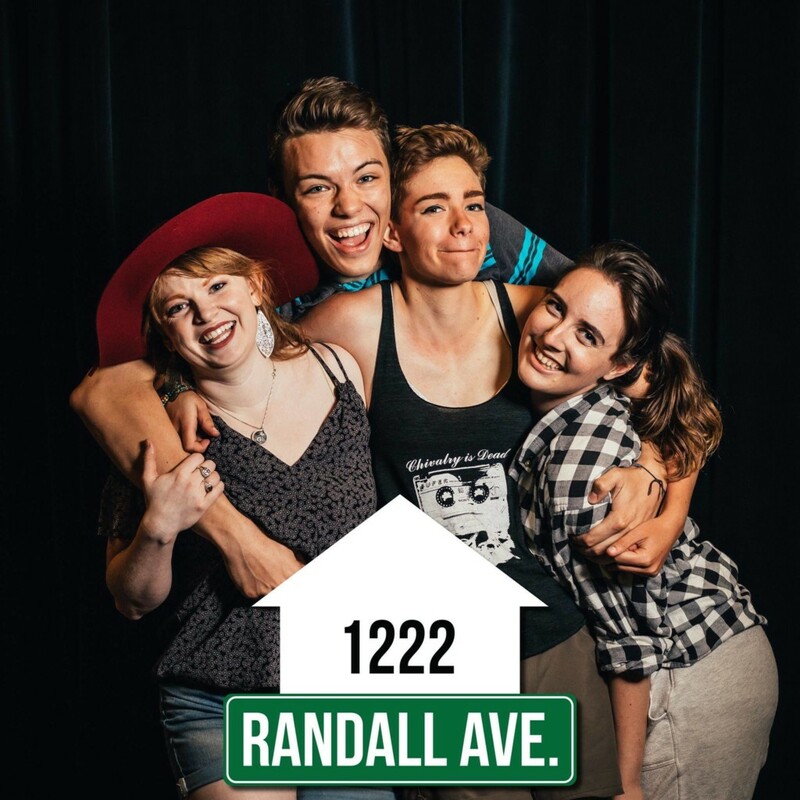 Life transitions for young people also were at the heart of The TwoFifteenProject’s 1222 Randall Avenue, a comedy production that is more sitcom than edgy. 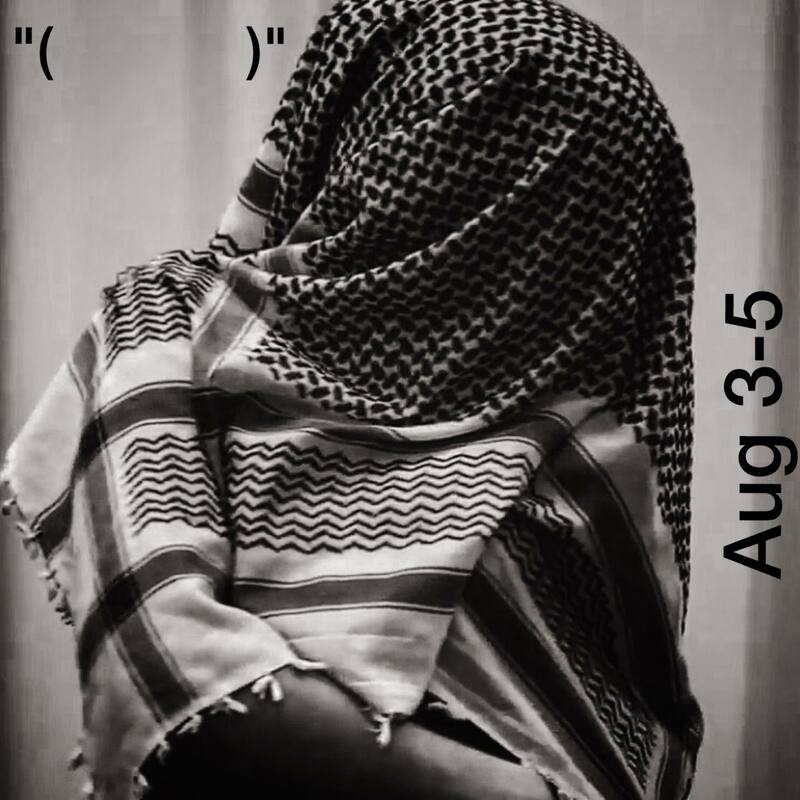 This was the local group’s second appearance at the Great Salt Lake Fringe Festival and it’s a rather ambitious student production. There were more props and furniture for staging than what other shows offered but this hampered the show’s pacing especially with scene changes. The show was pleasant enough, though. It was written by Max Huftalin and directed by Emilio Casillas, with stage manager duties handled by Victoria Dylan Ray. The cast was bubbly, attractive and enthusiastic, featuring actors Sud Shoell, Jaiden Castleton, Sierra DuCharme-Hansen, Eva TerraNova, Daisy Sherman and Dannielle Moriondo. Previous articleThe Culinary Center, making magic happen, one class at a time.